Occasionally a setup may fail. A common cause of setup failure is a clash between existing software and the new software you are installing. This can apply to any software application, not just Fernhill SCADA. To help diagnose these types of problem we often require the diagnostic log files from the setup program. To obtain these you will need to run the setup program with diagnostic logging enabled. The rest of this article explains how to do this. 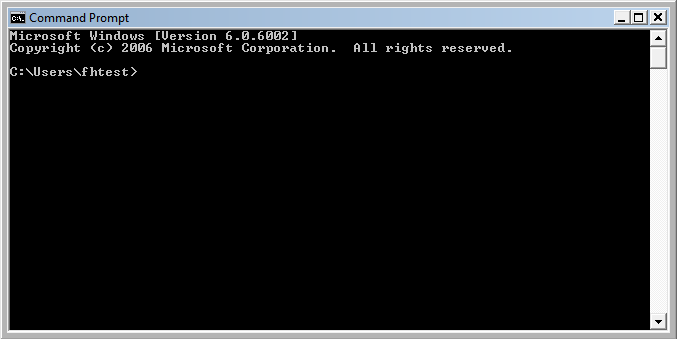 For convenience copy the setup program you are using to the current folder in the command prompt. 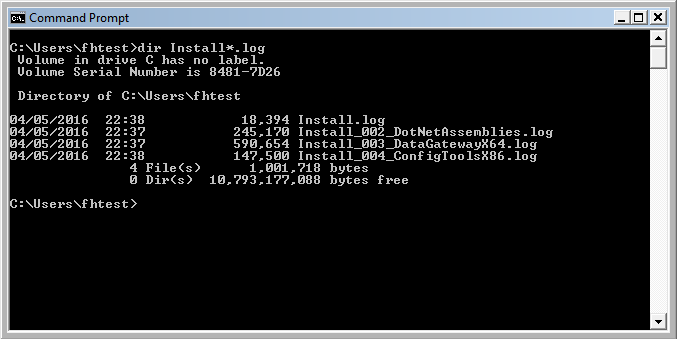 In the above example you would copy the setup program to C:\Users\fhtest. Note: To help us identify the cause of the problem quickly, include these log files in your support request. 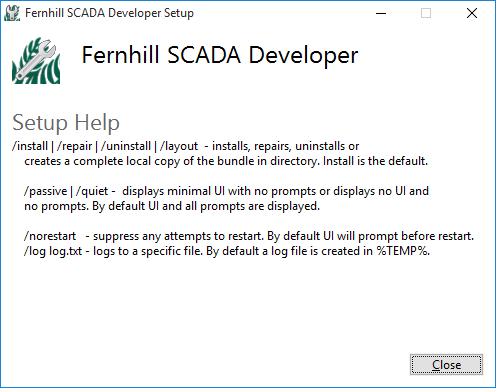 Errors in setup programs should be sent to support@fernhillsoftware.com. To learn about the different setup programs.